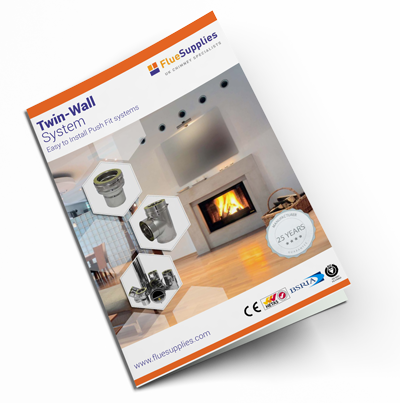 Jeremias twin-wall is suitable for burning all types of fuel in situations where a chimney system is needed to go either on the outside of a building or to be built inside where there is not an existing chimney stack. Jeremias use a “push-fit” system for their rigid pipe where each component pushes into the following piece and a locking band (provided with all lengths, bends and adaptors) goes around the joint. O-rings are available for condensing purposes. 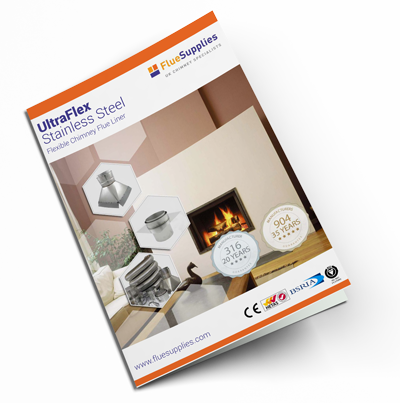 Our ULTRAFLEX liners are all of stainless steel twin-lined grade 1 quality and produced to the highest of standards. The liners are designed to withstand high temperatures and has a good resistance to corrosion. We produce different liners; 316L/316L and 904/904, each designed to perform under various circumstances depending on the types of fuel used. We also stock a wide range of fittings to use in the installation of our liners. All of our flexible liner products are of the highest quality and a variety are available to suit the individual needs of the customer. We have a wide range of cowlings available to suit a variety of systems and requirements. Some are designed especially to fit to chimney pots, others to the chimney liners, some to flue systems. 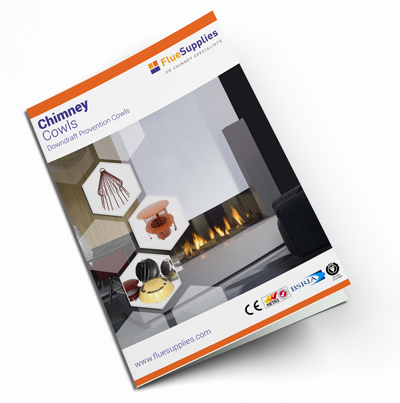 We also have a range of cowls designed to help eradicate downdrafts. Our products are manufactured from high-quality aluminium alloy, stainless steel, M10 or galvanised steel. 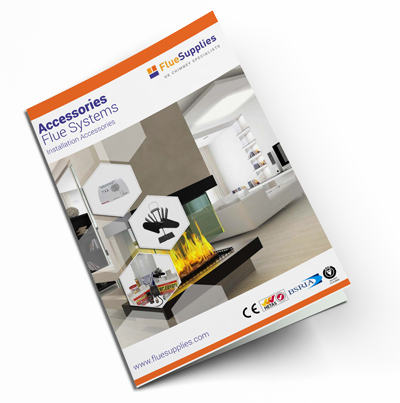 All of our products are designed to withstand normal operating temperatures in chimney flues of up to 250o C..
All of our accessories are designed to help with the installation of a variety of flue systems. It is a legal requirement to fit a chimney notice plate on any installation or modification to your existing installation. Your notice plate should be fitted either in the utility meter cupboard or close to the fire or woodstove. You should never cover this plate. Also, a carbon monoxide detector and an air vent should also be installed in the same room as the appliance. Please refer to the document J building regulations for more details.